With one day left in this year, the way we view these 365 days now is probably very different from the way history will see them. Right now though, on the surface, it doesn’t look like much changed this year from the last few years past. Anyone I’ve talked to about this year has the same response…”it went fast.” 2012 did seem to be a draining year, at times exhausting. This year provided America with a seemingly unending Presidential election — what many called the “ugliest” and “nastiest” in our nation’s history. And while both candidates talked about dynamic change and progress, they neglected to tell us how they would lead others we’ve elected to work together to solve our collective problems. 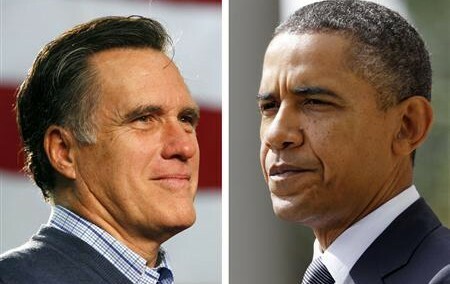 The 2012 Election between Barack Obama and Mitt Romney was called the “ugliest” and “nastiest” in our country’s history. The remainder of this year since Election Day has showed us more of the same…mounting anxiousness over incessant conflict in the Middle East and grave fear and tremendous uncertainty over our collective financial future. Facing tremendous adversity and challenge, our “leaders” seem to still be more worried about political maneuvering than problem-solving. In a year where we were promised hope, change, and reform we’ve only received more of the same rhetoric and stagnancy. 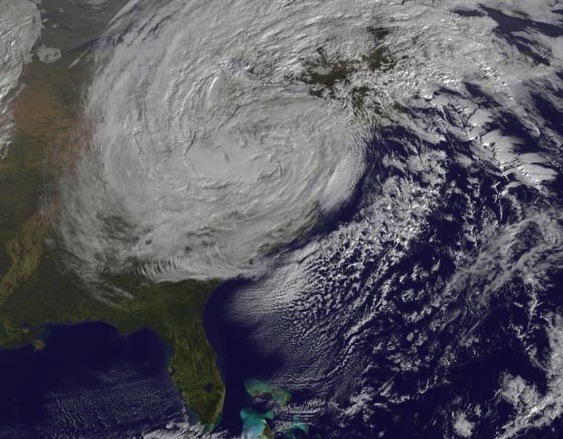 Satellite image of Superstorm Sandy as it approaches the Northeastern US. It’ll be impossible to look back on 2012 without discussing the violent weather. America itself was besieged by quickly-changing climate and dramatic storm systems. Throughout the country this year, average temperatures rose to the highest they’ve been in history in many places. The midwest experienced one of their worst tornado seasons and many areas of the Northeast were literally transformed by “Superstorm Sandy.” Sandy didn’t take the track of hurricanes past, riding the coastline and gradually losing energy and force. Instead, the storm gathered strength over the ocean before spinning into the Northeast at full force. Combined with a late October Northern cold front and tidal forces created by a Full Moon the storm smacked the coastlines of New York, New Jersey, and Connecticut with storm surges ranging from 10 to almost 20 feet high. In the immediate aftermath of the storm, those with power were witnesses to images of unprecedented damage. Houses removed from their foundations and obliterated by ocean waves. America’s greatest metropolitan area — New York City saw one third of Manhattan under water in the immediate aftermath of the storm. Major tunnels and bridges shut down, and blocks upon blocks without power for days. New York City Burroughs fell victim to even greater devastation. Areas of Staten Island and Queens (particularly Breezy Point) featured horrendous flooding and widespread damage. For many of the people that lived in these neighborhoods — the word “home” will never feel the same, ever again. 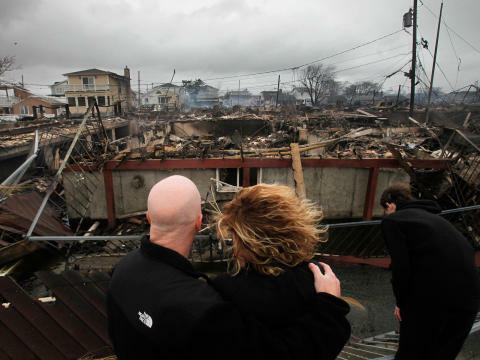 A couple looks at the devastation to their neighborhood after a fire caused by Sandy destroyed 80 homes. I’m writing this post from my home in Hoboken, NJ. This town, an adopted burrough of The Big Apple is an island roughly a mile long and home to 50,000 people. Hoboken was one of the hardest hit areas during Sandy. I’ve lived in New Jersey all of my life. Like many kids that’ve grown up here, most of my childhood is filled with memories of time spent with friends and family down at The Jersey Shore. Thanks to Sandy, these beaches and boardwalk communities are now unrecognizable. It’s not just buildings that were ripped from their roots and pulled out to sea — it’s a collection of memories so many of us made as children playing on those beaches, laughing on those boardwalk rides. Now those memories exist only in our imagination. Much of New Jersey was turned into something resembling a demilitarized zone in the wake of the storm. Miles and miles of communities without electricity, downed power lines and uprooted trees, blocked roads, closed bridges, and gas lines miles long weren’t the exception. For one week in 2012 — this was normal life. 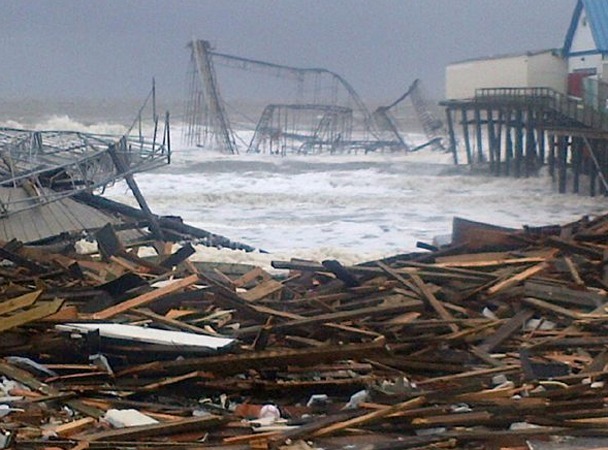 The boardwalk/amusement park in Seaside Heights, NJ after Superstorm Sandy. As a state, and as a country, we continue to rebuild after this historic storm. But how? Many scientists point to this storm as proof that Global Climate Change DOES EXIST. With rising sea levels and aggressively erratic temperatures shifts how do we plan for an uncertain future? When the history books write about 2012 decades from now they may see it as a turning point, or maybe the early days of a new era in our nation’s violence. 2012 was our nation’s worst ever in terms of mass shootings. 151 Americans died this year in 10 mass shootings, while countless others were injured. 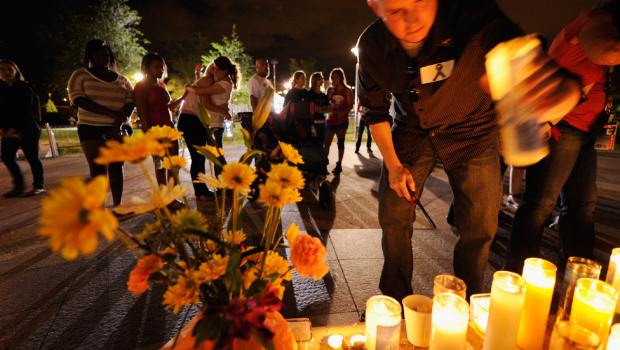 A massive candlelight vigil was held for victims of the Aurora Movie Theater Shooting. Almost 6 months later, the unthinkable happened again. This time though, the tragedy and impact was worse. At an Elementary School in a quiet New England town, a lone shooter entered and opened fire on the faculty and children inside before taking his own life. 26 people dead, most horrible of all — 20 young children, between the ages of 5 – 7. All throughout our country that afternoon and evening, there are stories of mothers and fathers rushing home, hugging their children, and not wanting to let go. And in the days that followed, we all felt as though a member of our family had been taken too — hearing the stories of these innocent, vibrant lives with so much life still left to live — and the teachers, counselor and principal who gave their own lives, defending them. Immediately, the media turned both tragedies into a rallying cry for “gun control.” Other agencies or groups blasted our Mental Health departments at the state and federal level, while others blamed violent video games and movies. As in the aftermath of the Oklahoma City bombing, or the Columbine or Virginia Tech shootings the finger-pointing has always been the same. And what we often find is that these political arguments immediately become polarizing and debilitating — seemingly distracting us from the issue at hand until its swept away by the next major news story. 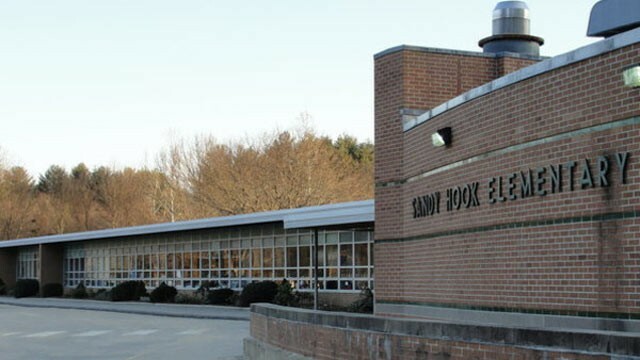 Sandy Hook Elementary School in Newtown, CT was invaded by a gunman on December 14th, 2012. Leo Tolstoy said, “Everyone thinks of changing the world, but no one thinks of changing himself.” What is it within the American psyche that is so drawn to and fascinated by violence? In my opinion, any chance we have of preventing future tragedies starts not with eliminating weapons or better mental health check-ups. These are appendages that distract us from attacking the greater issue. We must go much deeper than the surface to solve the problem, and we all have to take a good look at ourselves in the mirror. Our media is our natural mirror. Through movies, music, and television our lives are reflected through art. Through the news, our lives are unveiled to us as “fact.” From our living room, the news shapes our view of the outside world — all of its potential for greatness, despair, and destruction. In 2012 America, our media is failing us. The majority have chosen style over substance and sensationalism over truth. All too often, they reflect a world back to us where murder and mayhem bring immediate attention. In the mind’s eye of a mentally disturbed person, attention and fame are one in the same. I remember one of the most poignant moments from CNN’s coverage during the Aurora Shootings, when a father of one of the victims shakily came up in front of the camera to speak to Anderson Cooper. Live, on the air, he pleaded with Cooper and other broadcasters to completely refrain from televising the shooter’s name, image, and story. He knew what we’re all afraid to admit, that our attention only feeds the next one of these tragedies. During his coverage of the Sandy Hook Elementary tragedy, Cooper kept his promise — never identifying the shooter by name or image during his broadcast. Candles penned with the names of Sandy Hook victims are lined up at a vigil after the shooting. 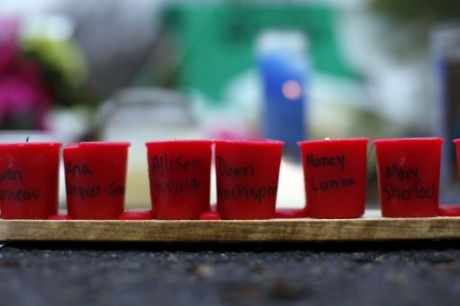 For me personally, the Sandy Hook shooting felt debilitating…and I don’t think I was alone. The overall weight of the tragedy and then the heart-wrenching personal stories shared by parents, grandparents, Aunts, Uncles, and siblings about the children their families had just lost was so deeply saddening it felt like it settled deep in my bones and hasn’t left to this very day. I’ve always believed that children, not adults, are the ones with real courage. Before they know any better — they demand action and laughter, they give their love freely and openly, without any fear of the repercussions. As I heard the individual stories of these 20 children I thought deeply about the places they had called home…about their families. I thought about those 20 Christmases. When you’re a child, nothing is more magical than Christmas morning…then jumping out of bed and rushing down those stairs in your pajamas…about seeing what Santa brought you this year, and then finally tearing open those presents. In those 20 homes this year, those beds were neat and made, those steps were eerily silent, and those presents were never opened. When an adult passes away we talk about their accomplishments. The titles they held, awards they won…we talk about how many children they had and how many grandchildren followed them. But when a child dies, the eulogy is so much different. Instead it’s about the little things they enjoyed about their day, the little quirks about their personality, the dreams they had, and always the love they shared. We can all learn a lot from these 20 children, and it has nothing to do with gun control, violent video games, or mental health evaluations. The lesson these children have for us is much richer. It is a lesson about how we can and must — come together. At this point, we can’t do anything to change the way history will view this year…it’s almost over. But as we look forward to 2013 we can use the events of 2012 as a compass for our future. As technology pulls us farther and farther apart, these tragedies should serve as reminders as to why we need to come together and work together to build a better collective future. Instead of focusing on our political differences we should instead shed light on the things we have in common — the things that make us all human. Any great tragedy teaches us this, that we are all fragile and that we all need the help of others every single day. History’s mind is already made up on 2012, but when it comes to 2013 — the World is truly what we make of it. We’re still here, so what kind of world do you want it to be? ~ by Dan Fabrizio on December 31, 2012.